The question of co-ordination, baton drops and doping-related challenges has seen the composition of the relay team being changed several times. 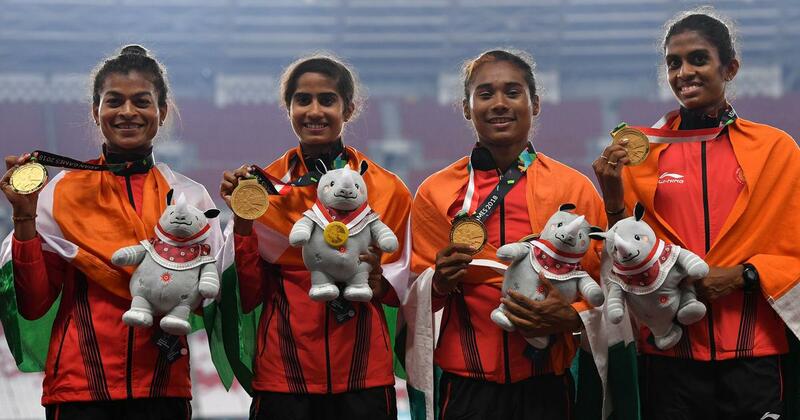 India’s relay teams delivered three medals at the 18th Asian Games – a fifth consecutive gold medal in the women’s 4x400m, silver in the men’s 4x400m and the mixed 4x400m relay. But let’s rewind a little. Muhammad Anas, Arokia Rajiv and Poovamma M R were left out of the first provisional list of relay participants for the 2018 Commonwealth Games to be held at Gold Coast, Australia. The reason? They were training outside the national camp for quarter-milers set up by the Athletics Federation of India. “We have to explain to the government why there have been so many baton drops over the last year. It is their money and they have a right to know. If the relay athletes are not in sync, is there a point in sending them?,” the AFI’s secretary general CK Valson had stated in defence of the federation’s decision at that time. Eventually, the federation blinked first with Valson holding talks with all three athletes during the Federation Cup in Patiala, getting assurances from them that they would proceed to the camp in exchange for a relay team spot at CWG. The men’s team could not finish their final at CWG after Amoj Jacob was injured and the women’s team finished 7th with a time of 3:33.61 minutes. At the World Championships, the women’s quarter-mile team had been disqualified while the men’s team had finished 10th. The AFI had obviously come in for pressure from the other quarter-milers. One of the other members on the men’s team had commented, “We might as well not go without Anas.” With Hima participating in her first international meet, the team would have worn a thread-bare look without the experience of Poovamma. The campers versus non-campers tussle isn’t a new one. After Rio, Poovamma had hit out at the relay preparations, stating that the team had started training together at the last moment. The AFI’s rationale in withholding the non-campers from the relay teams was two-pronged. They could not monitor the athletes effectively while outside their facilities and that co-ordination between the runners training together would be better, resulting in fewer baton drops. Concerns about doping had been elevated ever since six women quarter-milers had been caught doping in 2011. The flip-side to this argument is that the AFI could err in believing that athletes in their camps will not engage in doping and that being under close supervision will prevent a repeat of the 2011 episode. With India’s streak in the 4X400 metres women’s relay at the Asian Games at stake, the selection took many turns – Nirmala Sheoran being the central figure in all pivotal discussions. The Haryana quarter-miler had been missing in action and indeed, from the public eye, since the 2017 World Championships in London as the AFI had denied having any knowledge of her whereabouts. “Her name figured in all the lists we made because she was the second fastest. But this was the medal over which we were all sweating and could not risk a suspension,” says a federation insider, who did not wish to be named. Eventually, Vismaya VK was picked over Sheoran and it was her who was chosen to run the final leg. Thanks to a tactical tweak from Galina Bukharina, it was Hima who ran the first leg and try as she might, Asia’s fastest-ever woman Salwa Eid Naser could not close the huge gap on Vismaya and the Indian team in the final stretch. “My aim wasn’t to just post my best time and not think about anything else. 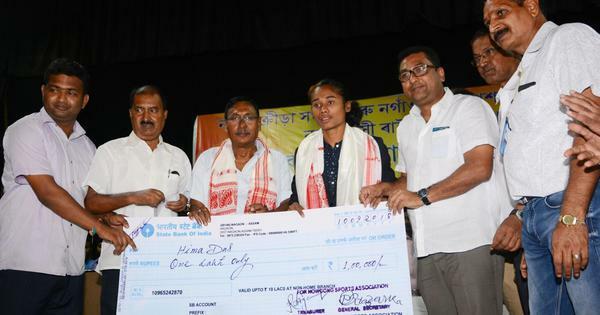 I had done 50.79 in the women’s 400 metre final, if I had gone below that time, I would have been happy,” said Hima about her first leg run. In hindsight, it is possible any combination of the four runners may have won the race without Bahrain’s second-fastest quarter-miler present. Prachi Choudhary and Chhavi Sahrawat’s court case alleging that rules for selection had been flouted, had upped the stakes for the AFI. Even though the case had been won, the AFI insider stated that ‘it became mandatory for us to win the relay and prove our selection right’. While the women’s team delivered a fifth consecutive Asian Games gold, the men’s team, unable to finish the race at Gold Coast, finished second best. In the men’s section, it was Mohammed Kunhu who had gone first against Qatar’s Abderrahman Samba. “Samba made all the difference, and even though me and Arokia [Rajiv] closed the gap, we could not have made it up. I was asked to go third and not last because we did not want to chase too large a gap in the final leg,” says Anas. Ayyasamy Dharun also rued the fact that he was boxed in on the second leg. “I had to turn right and run outwards, and it cost me precious time,” he admits. It was a silver for the men, but it came in the face of a new Asian record from Qatar. It is difficult to judge the mixed relay event, introduced for the first time at the Asiad, given there is very little data available from around the globe, since the event is still in its nascent stages. With the relay teams returning the best finishes that could have been expected of them, perhaps it is time to lay down selection procedures and concentrate on bigger challenges ahead.